With perfect timing since I’m currently going a Fyreslayers army, a brand new Battletome is on the way for them along with some Magmic Invocations, a new scenery piece and some dice! Meanwhile, in the 41st Millennium we have some more reinforcements for the forces of Chaos! Fire up the forges and sing your prayers to Grimnir – it’s time to discover what you’ll be able to pre-order for Warhammer Age of Sigmar next week! Everyone’s favourite red-headed berzerkers are back with a vengeance! 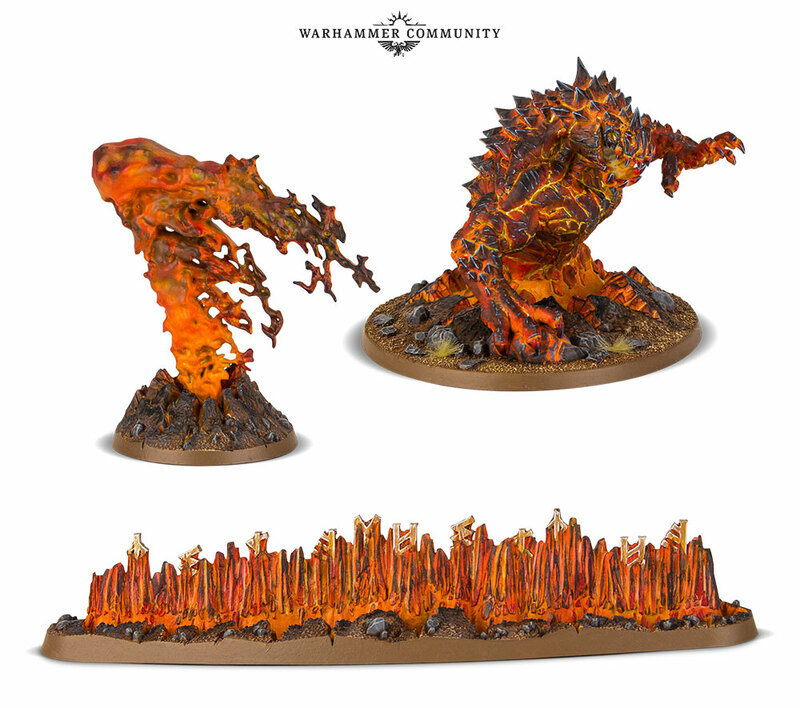 The new Fyreslayers battletome adds more tactical depth, thematic richness and pure fun to the army, bringing them into the post-Soul Warsrealms in style. Inside, you’ll find updated warscrolls and sub-faction rules for the Fyreslayer lodges, along with sumptuous lore and art that brings the world of these blazing warrior-monks to life like never before. Stay tuned for some in-depth previews, looks at the lore and more throughout next week! 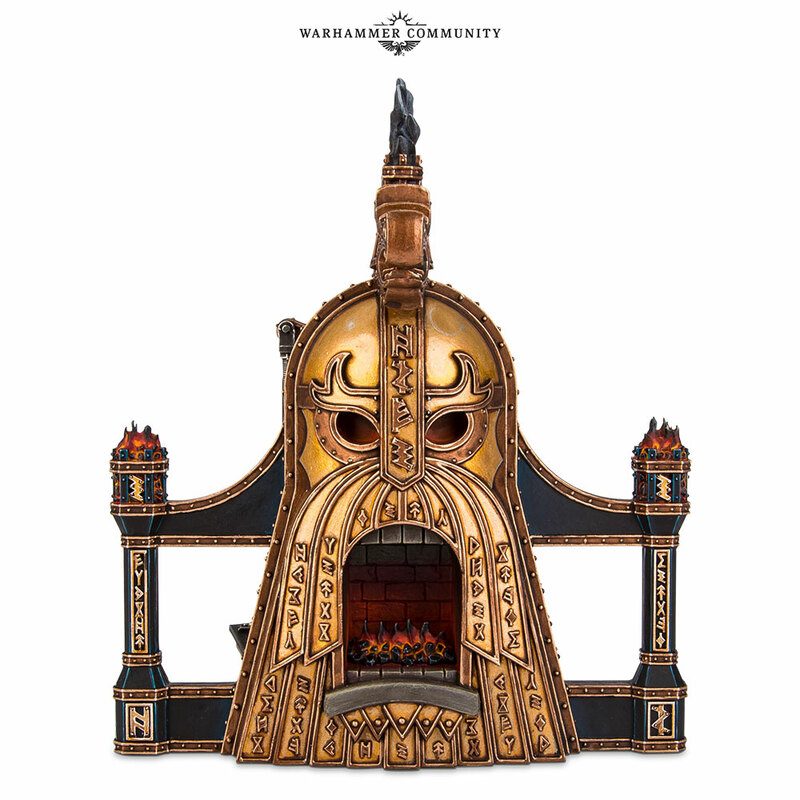 Meanwhile, the Magmic Battleforge isn’t just an awesome way to build Fyreslayers-themed battlefields – it’s a tactical lynchpin for your army that’ll enhance the power of your units considerably. 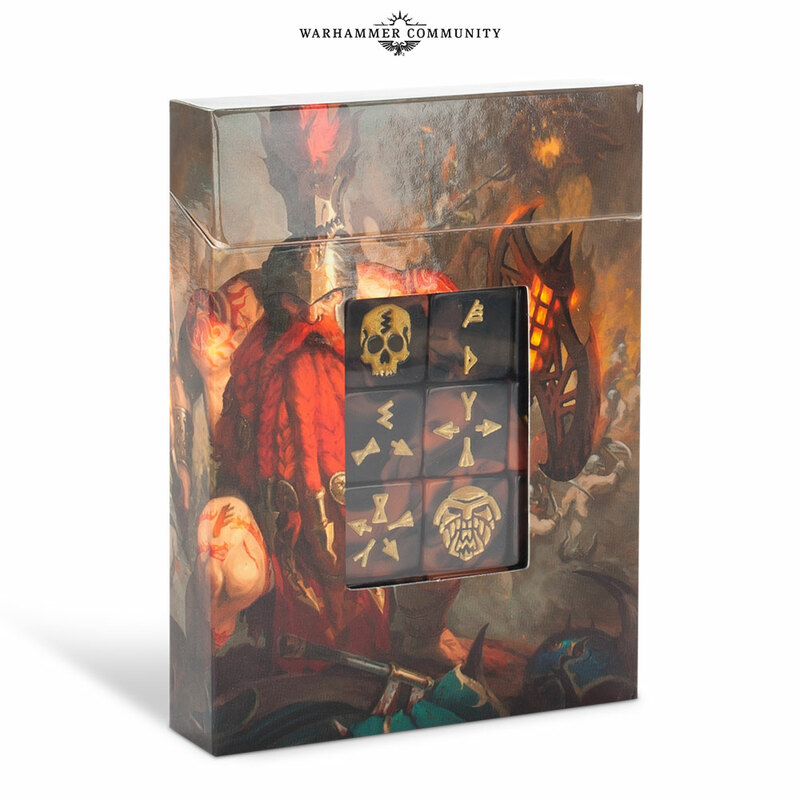 While they might not be as effective in battle as the ur-gold originals, the runes inscribed on the new Fyreslayers dice are, at the very least, a great way to show your allegiance to your favourite faction. Lastly, we’re making the Doomseeker available once more, perfect for anyone who missed this guy the first time around and is looking to cause some truly glorious carnage on the battlefield. Keep an eye out for these releases next weekend – and let us know what you’re looking forward to on the Warhammer Age of Sigmar Facebook page. If you want to begin an army while you wait for the book, pick up the Start Collecting! Fyreslayers set, which is the perfect core for a new force. This guy has one role, and one role only – slaying enemy leaders. 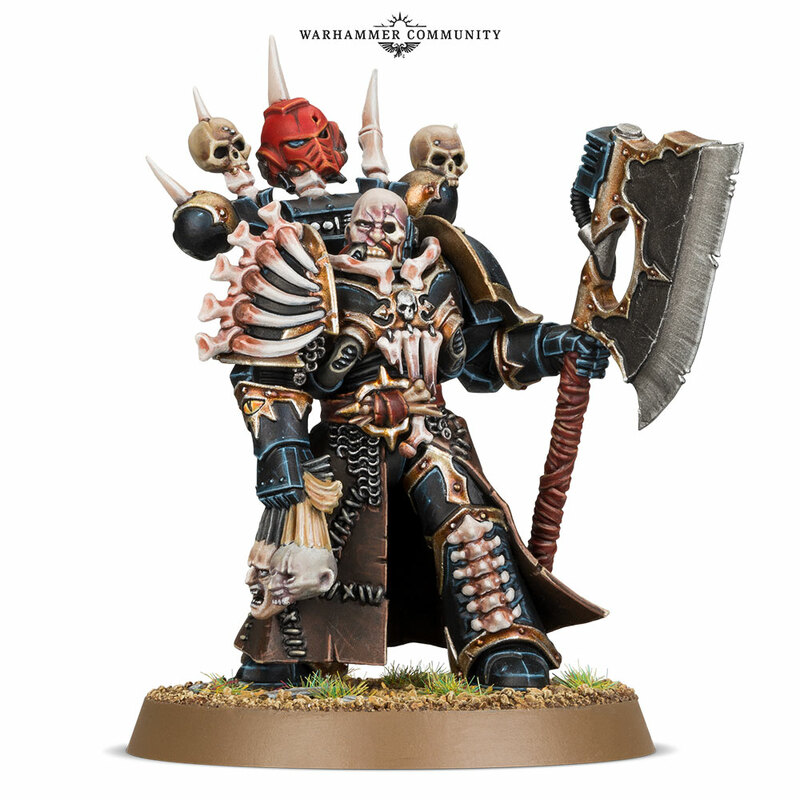 Once he’s within their ranks, there’s little that can stop this gore-soaked champion from finding (and slaying) his prey, making him great for close-combat focused Legions like the World Eaters and Emperor’s Children. Next up, we’ve got the Dark Apostle! A lynchpin of Chaos armies, the Dark Apostle can use Prayers to the Dark Gods to enhance nearby units – or himself – with powerful abilities. 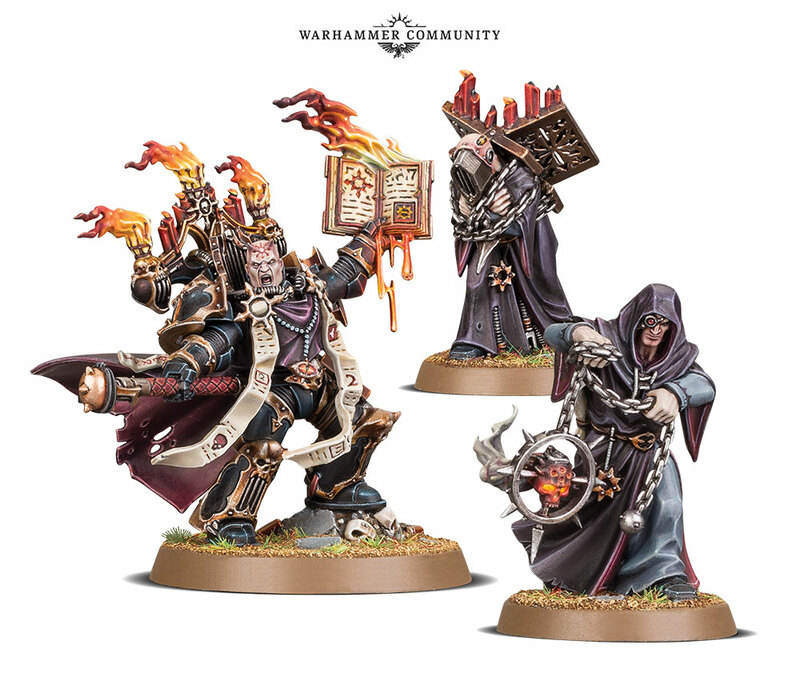 The new Dark Apostle comes with two Dark Disciples, who make his Prayer rolls easier to perform, as well as adding a new aesthetic to Heretic Astartes forces that evokes the nature of Chaos worship. 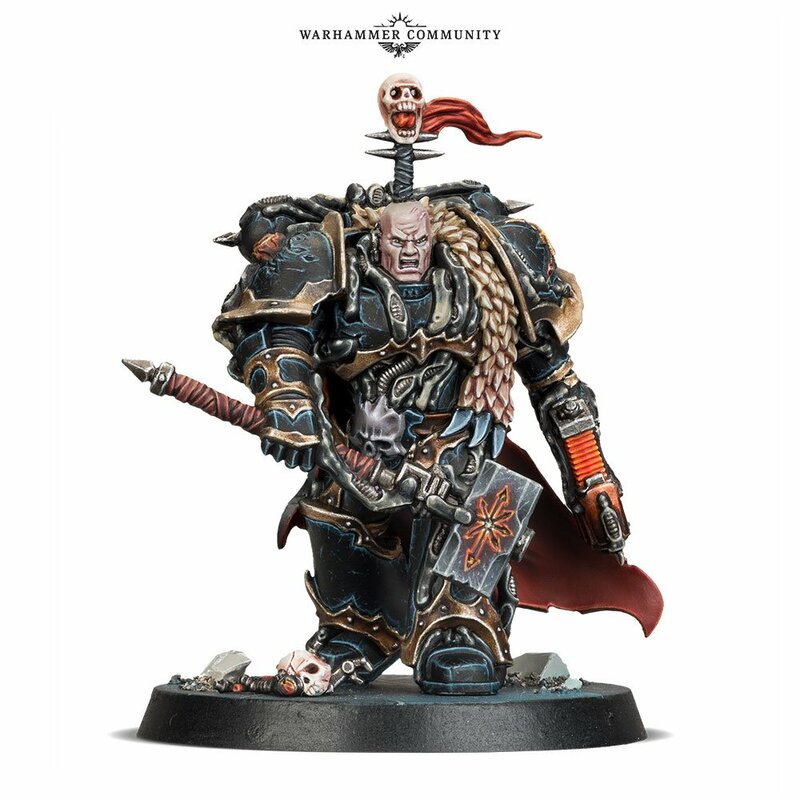 Lastly, you’ll be able to get your hands on the magnificent Chaos Lord model from Warhammer Quest: Blackstone Fortress as a stand-alone miniature – perfect if you’ve already painted one as Obsidius Mallex and you’re looking to add a Chaos Lord of your own devising to your armies. You’ll be able to pre-order all these new models next week, while the new Codex: Chaos Space Marines, Havocs and Chaos Space Marines Terminators are on shelves right now. 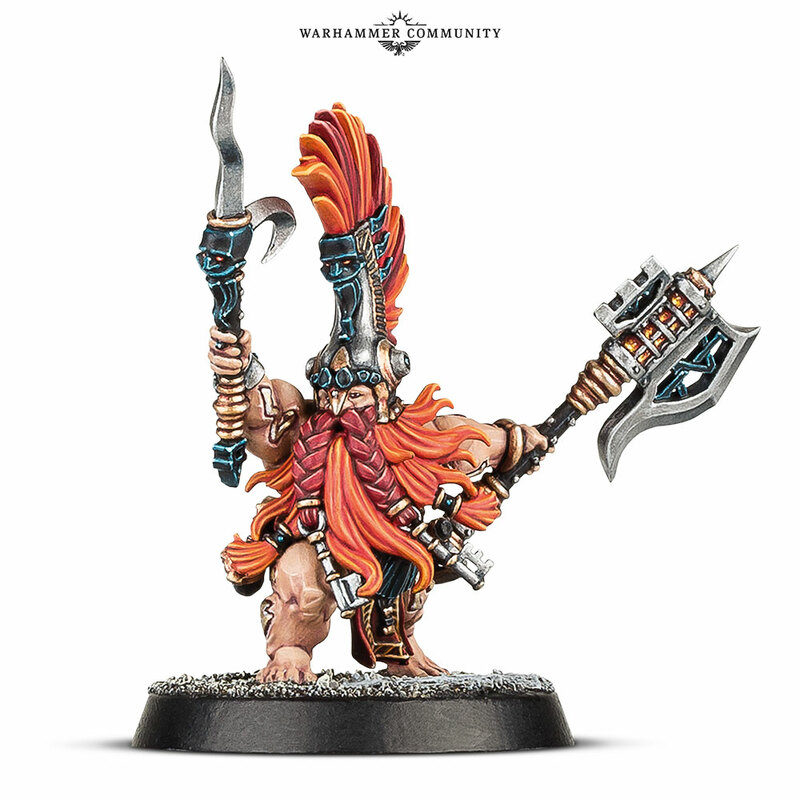 Index Ynnari: In Next White Dwarf! Cats & Catacombs: New Animal Adventures Coming to Kickstarter!